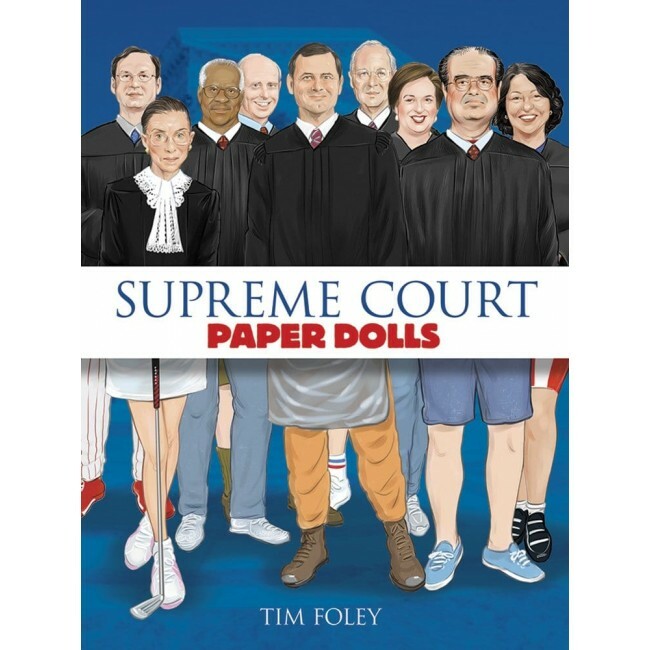 Get better acquainted with justices of the highest court in the land with this playful Paper Doll collection. 9 members of the Supreme Court are featured! Get better acquainted with Chief Justice John G. Roberts, Jr., Sonia Sotomayor, the late Antonin Scalia, and the other justices of the highest court in the land with this playful Paper Doll collection. The nine members of the Supreme Court are featured in doll form, dressed in street clothes. All come with a judicial robe and several accessories that reflect their personalities and interests, including tennis and cycling outfits, RV Club leisure wear, favorite baseball team uniforms, and college t-shirts.